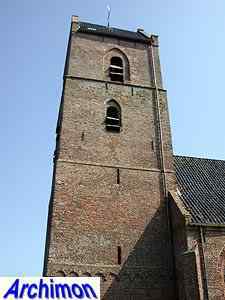 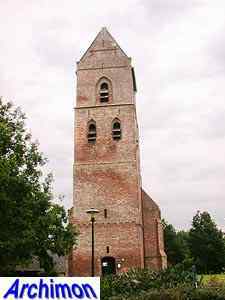 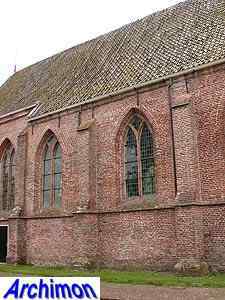 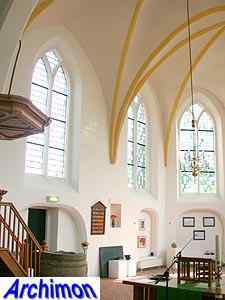 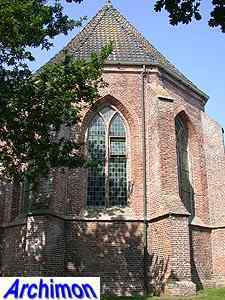 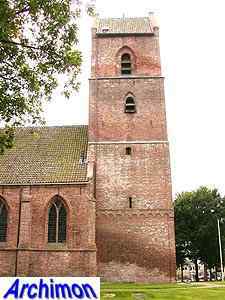 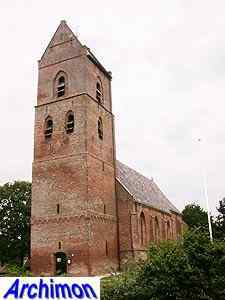 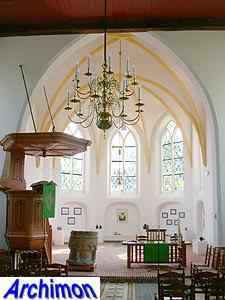 The church of Vledder, until the Reformation named St. Johannes de Doper, is a one-aisled church woith a narrower choir and a saddle-roof tower. 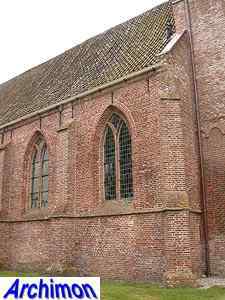 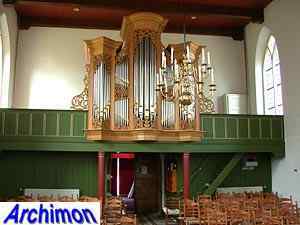 The church replaced a wooden chapel which had been founded in c. the year 1000. 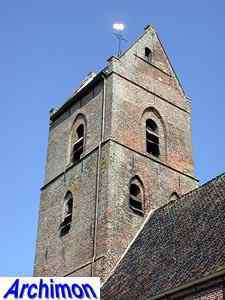 The oldest part of the current church is the tower, which was built in the 14th. 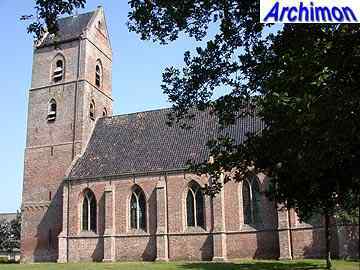 A little unusual for this period is that it was built in Romanesque style, with a frieze of round arches gracing the border between the lower segment and the second. 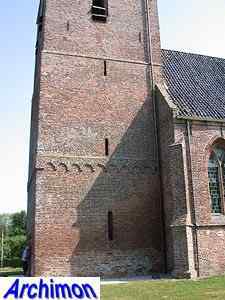 Because both the third and fourth segments have sounding-holes, it seemsthe tower was originally three segments tall. 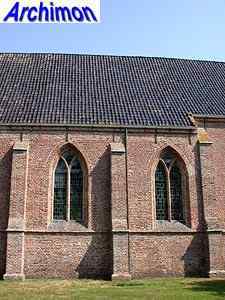 In the 15th century the Gothic choir was built, followed by the nave in the same style. 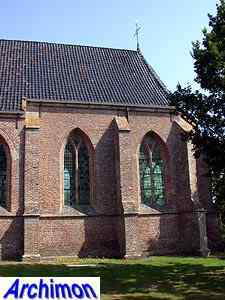 In 1621 the church was damaged by fire and the roof had te be replaced. 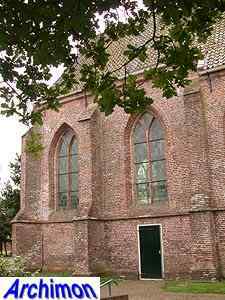 More drastic changes were made to the building in 1820. 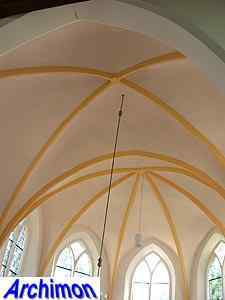 The precise details of these are unknown, but most changes will have been made undone during a restoration in 1952-1954. 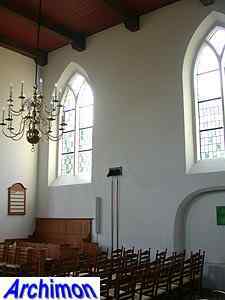 In that period traceries were added to the windows and the three closed windows of the apse were reopened. 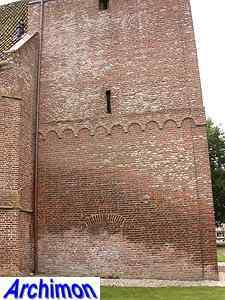 Also the entrances in the east, south and north sides were closed. 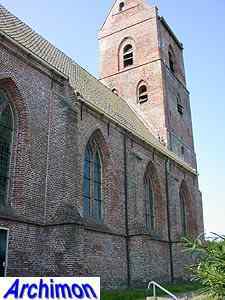 At the west side of the tower a closed entrance was reopened, which now serves as the main entrance to the church.